Apply in person April 30- May 2. Interviews on site. Xtreme Action Park is always looking for motivated employees who are dedicated to working as a team and have a positive attitude. Download our Job Application today and submit it anytime by email or bring to the Park. Please Note: We will only respond to online requests if your resume matches an available position. Track Marshal – Our track marshals are the point of contact for almost every person that comes out to race. They are the support on the track and help to keep our racers briefed on the rules and regulations of karting. They also help to monitor the safety of those who are racing. For those who love racing and are willing to work on a great team, this may be a great fit for you. ShakeShoppe/Restaurant – With great food and soft drinks, our guests need to be refreshed. Our restaurant team helps to provide the much needed fuel for our customers. If you love working around food, this is a great spot for you. 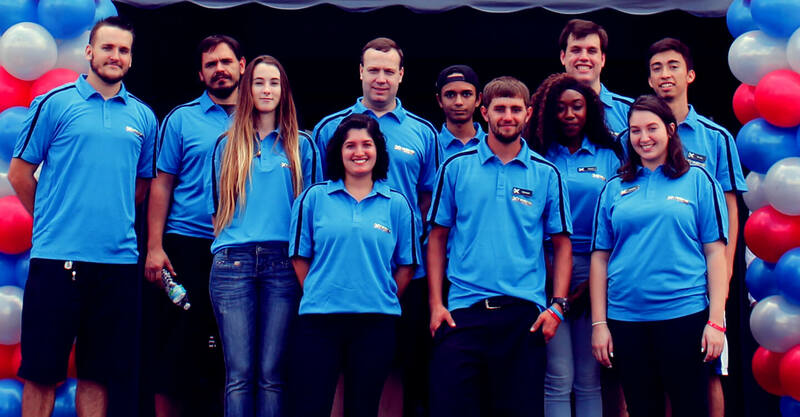 Guest Services & Admissions– Our point of sales team are the first people you see when you walk into Xtreme. They explain our current rates for racing, arcade games, and much more. These friendly faces provide you with helpful information to make your experience a memorable one. If you are energetic and love helping people, this is a great team to be a part of. Arcade/Redemption – We are always looking for enthusiastic young adults who want to be in the entertainment industry because it is so exciting. This is a great way to get started! Sales Team– Do you like corporate networking? Do you like to have the security of a draw but know that you have the ability to grow through commissions? Yes! Well, Xtreme is always looking for sales people who are ambitious. Our sales team sells corporate events but they are really selling fun!!! Need there be more to say? Facility Porter – Being the largest indoor venue, we need a reliable crew to help keep it sharp. For this, we need reliable personnel who take pride in the details. Bartender – Cool down our customers in the Pit Bar. Make our custom drinks or pour our very own craft beer and keep the party going for our guests. Fun personality, witty character and prompt service required! Party Server/Hosts – As the most desired position at the Park, Party Hosts have the opportunity to make lifelong memories for our guests. Applicants for this position must be able to meet high demands of party goers/planners and provide prompt customer service. Your efforts in this position are very well rewarded. VR Attendant – Be a part of the newest technology in gaming. If you’re a gaming fan, love technology, and people this could be the perfect job for you! Help our customers experience the fun and excitement of the virtual world while keeping them safe from Dragon’s Fire. Attractions Attendant – This opportunity allows you to welcome our guests to a new and exciting experience where you will guide them thru the safety rules and how to’s of each attraction. If you can perform this job well, you will have the chance to bring customers back to visit you again and again. Escape Room Game Masters – Escape Rooms require employees that can prepare guests for an amazing, interactive, high tech escape experience. The game master monitors and interacts with players and operates electronics during game play. The minimum Age Requirement for employment is 16 years old. If you want to find out about other employment opportunities, please call 954-491-6265 or email: contact@xtremeactionpark.com. Ready to start? Complete this short inquiry form to send your resume to a manager today. If a position is available, we will contact you via email for an interview.